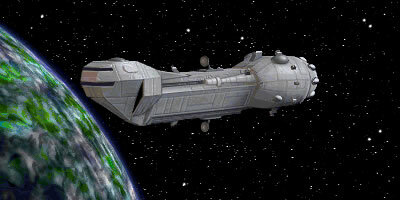 The Lancer-class Frigate was first commissioned after the battle of Yavin. Having come to a somewhat belated awareness of the danger Rebel starfighters posed, a group of Imperial Admirals led by Admiral Drez proposed the creation of a capital ship for use against them. The Lancer was designed and built by Kuat Drive Yards, which borrowed from existing KDY hull designs. It was designed to serve a highly specialized function, and it excels when used against enemy starfighters, but due to various design flaws and a prohibitive cost the Lancer was not built in large numbers.